Replaceable batteries: 3x AG3 cells per light, included! 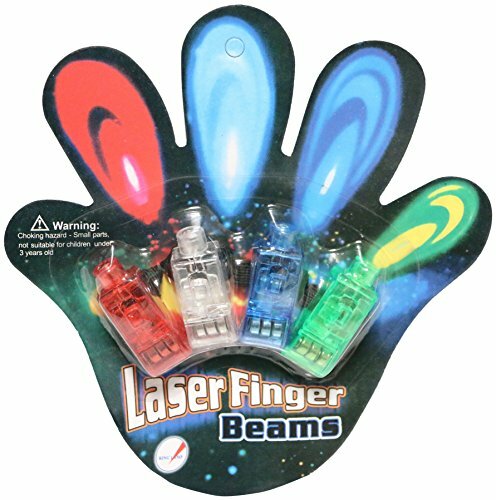 These finger lights beams are Eye-Catching at midnight!! Will have to have special items for parties, raves, concerts, nightclubs, or simply to have unlimited fun each time it’s dark. They’re easily attach to the fingers with a bit strap that may be connected to Each and every finger light. Each and every unit is powered by long-lasting 3 x 1.5V battery cells. Batteries are replaceable. GLOWS BRIGHT! - Pictures can't do this tape justice! It's blacklight reactivity is unmatched and is sure to impress. Whether in white or black light, this tape is BRIGHT! FIVE BRIGHT COLORS - Yellow, Blue, Orange, Green & Pink all glow exceptionally well! LEAVES NO MESS - This tape was designed to leave behind no sticky mess on most surfaces! Unlike duct tape, this tape pulls off clean with no residue. Rave on with these flashing blinking LED Pacifiers Each pacifier is attached to a lanyard to wear around your neck and keep track of while you party Batteries included.